Thursday in Patna was packed. We split into two groups. 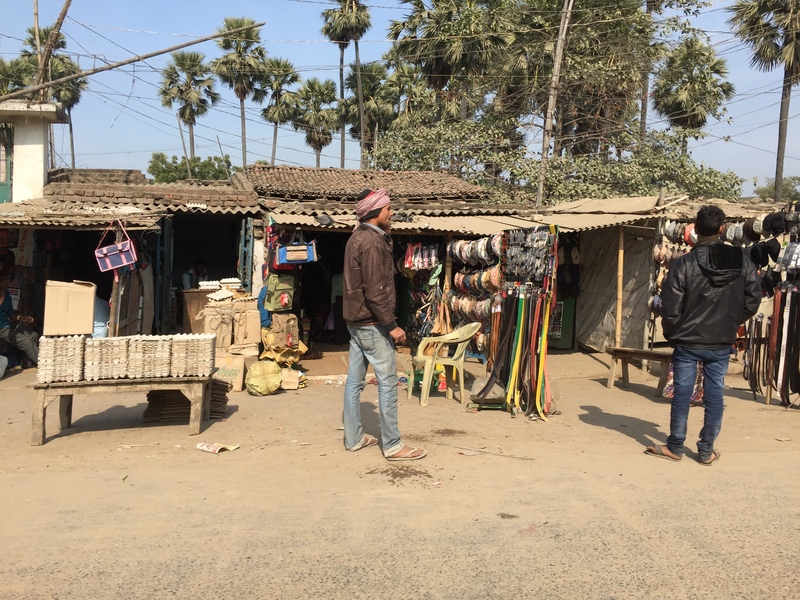 Our group drove into the countryside to visit a savings group, and then back into the slums (their word) of Patna to visit another self-help group of women, followed by lunch at the revolving restaurant and then back to the airport and an evening flight to Kolkata. Yikes. 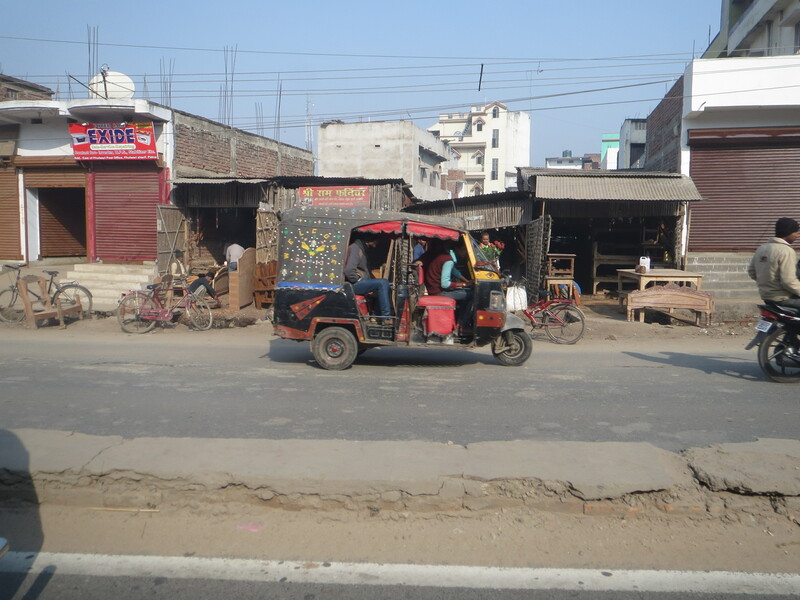 The drive out of Patna was dusty, noisy, and fascinating. We quickly left the boundaries of the city and into the countryside, where after about 45 minutes we were in the extremely small village which was our first destination. We were so honored to be there. 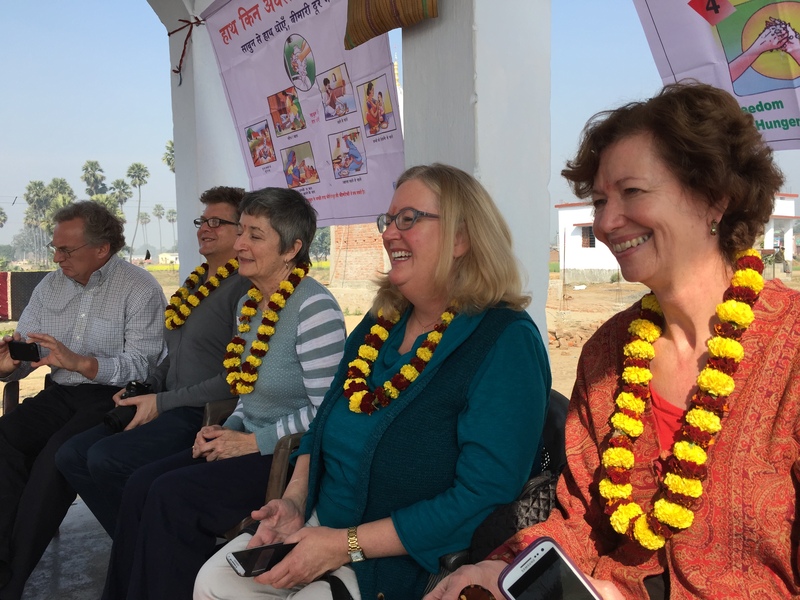 Left to right Steve Hollingworth, Bill Phillips, Catherine Roth, Deborah Burand, and Marianne Udow-Phillips. 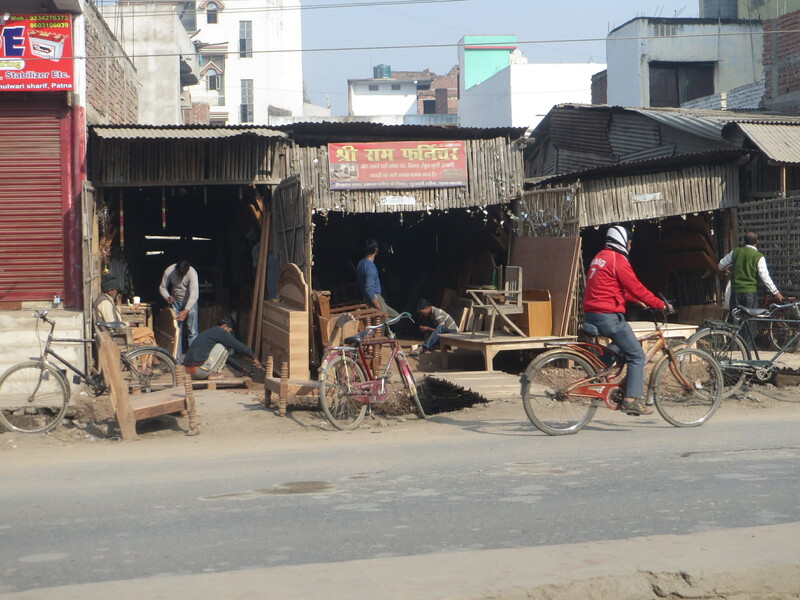 The poverty here is deep and to western eyes seems intractable. 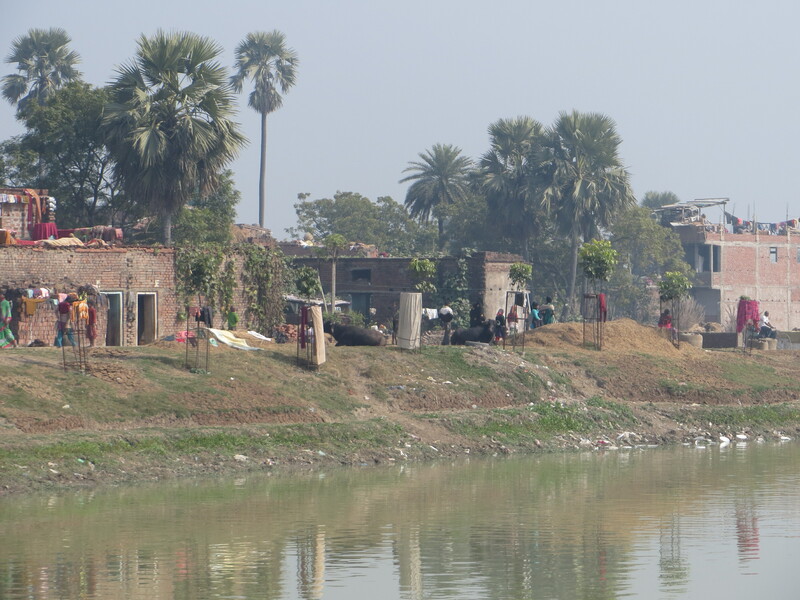 None of the women have household latrines–everyone squats in the fields. 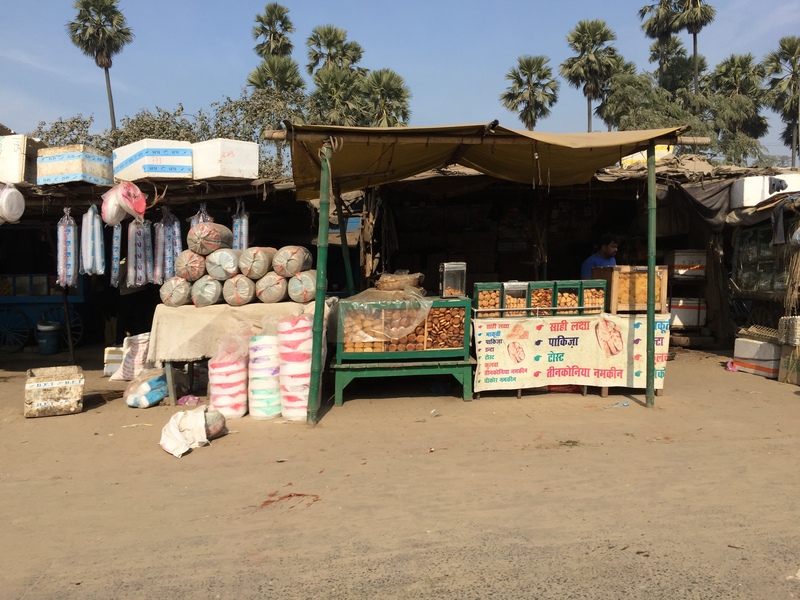 They farm–there was virtually no commerce. 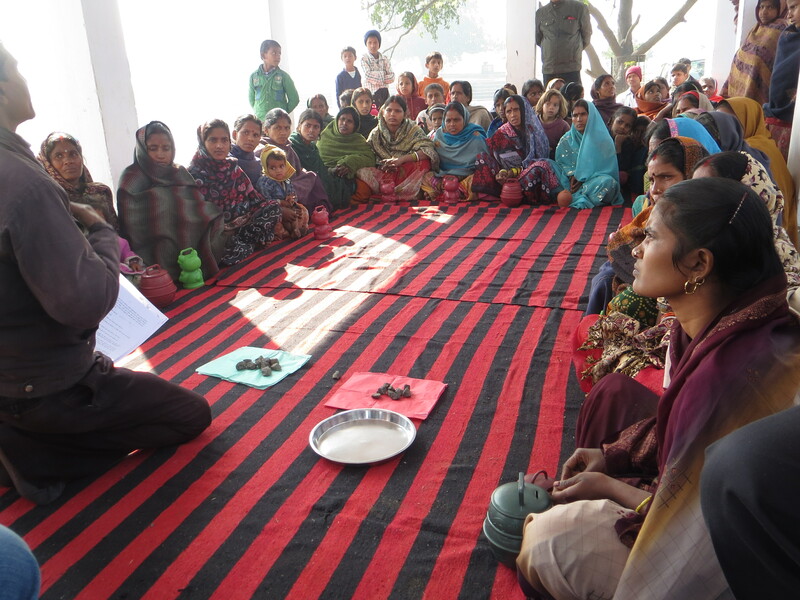 The womens’ groups (they combined two to meet with us) come together to share savings, creating a pool from which they can borrow, and into which they pay in the form of purchasing shares. Every year the accumulated savings, interest, and, if any, penalties (for being late to a meeting) are distributed and they start again. This form of financial interdependency means they are able to smooth out their funds and have access to emergency money, e.g. for medical care. 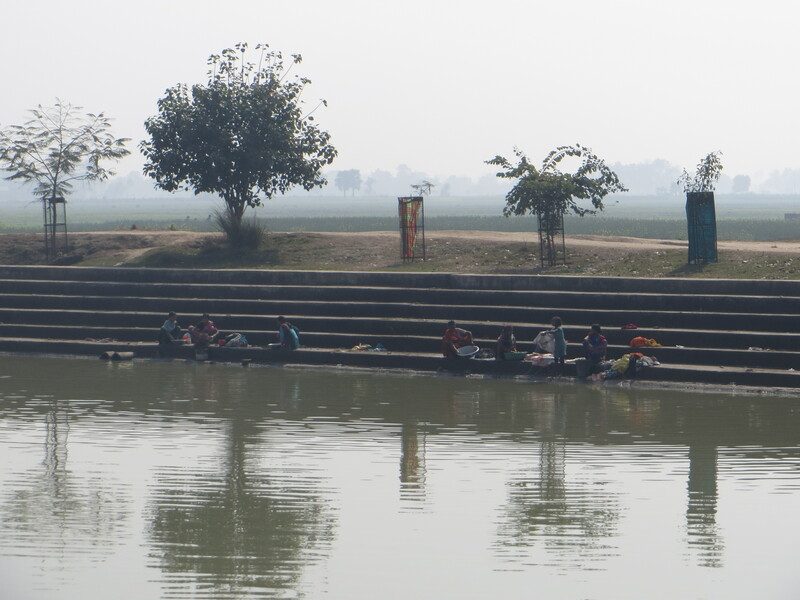 The pavilion where the women met was in front of a manmade lake which provides water for animals, bathing, and washing clothes. 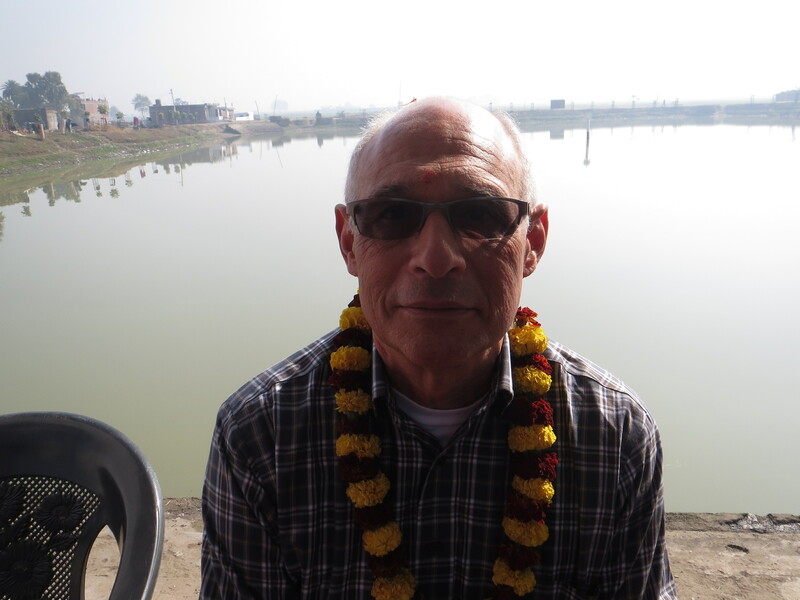 Here is husband David Roth. The trainer used rocks and pieces of paper to illustrate how many rupees diarrhea costs a family. 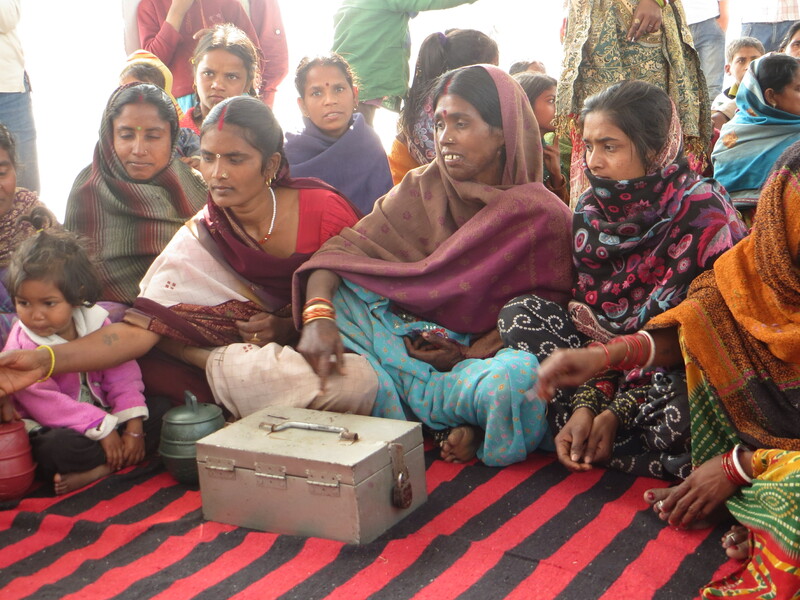 The women in this savings group explained how they keep their joint savings safe–3 keys held by 3 different women are required to open the strongbox. 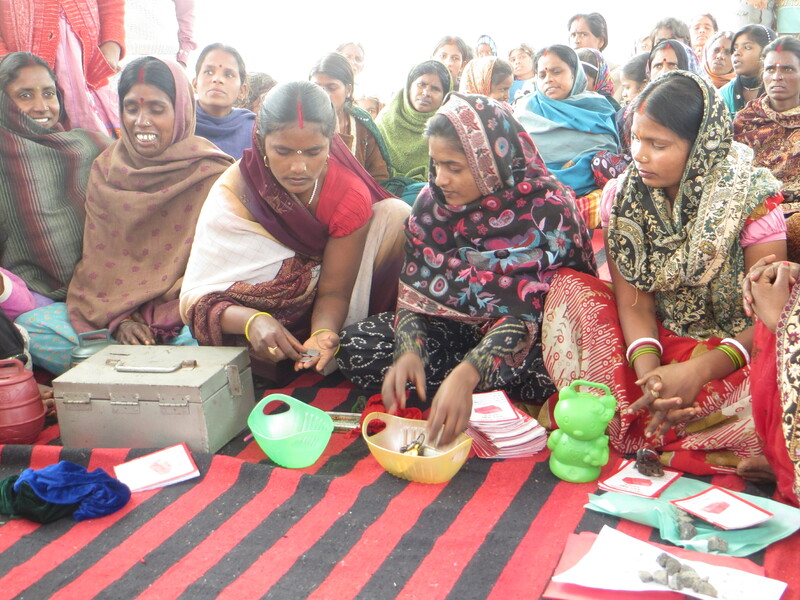 The women brought their home piggybanks where to put “extra” rupees to bring to the savings meeting. They had each brought their home piggybanks to show us how they put aside spare rupees in order to have the money to contribute to the savings at their meetings. Monies are collected in a strong box with 3 locks, and in addition to the 3 women who each hold a lock, a fourth keeps the box, another counts the money at each meeting into the hands of a fifth who confirms the amount. in the box they have 3 cloth pouches–one for savings, one for interest payments, and one for late-to-meeting penalties (this one was empty). Many of the women had children in their laps, and men stood around the outside of the open pavilion observing the meeting, and, of course, looking us over. The program representative from Nidan was giving them a lesson in how to assess the cost of diarrhea, using stones to represent different amounts of rupees. He asked them to estimate what it costs to get transportation to the doctor when, say, a child has severe diarrhea (which all of them experience multiple times a year); what it costs to go into the hospital; what it costs for medicine or for IV hydration; what it costs to get back home. They added it up my moving stones from one pile to another. Next he addressed indirect costs. What does it cost to miss a day of working, for example? What does it cost a child to miss school if she has several bouts in a school year? What does it cost a child for the rest of her life to have ill health? What does it cost if this results in death? In this group they estimated $20 in direct costs, and another $30 in indirect costs. $50 is a LOT of money. Several different women came up and moved the stones as they made their calculations. As we sat in the meeting, a man drove a large herd of sheep by. 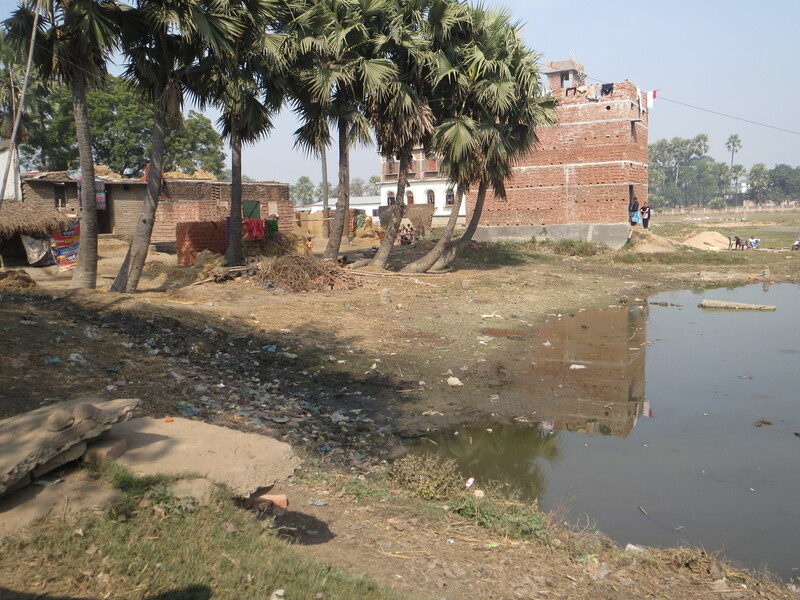 This is the first step for these women–to understand how expensive diarrhea is. The next key part is to convince them, through health and behavioral education, that this can change. We asked them what kinds of things they had used their loans and/or savings for. I’d say that is a pretty good list. 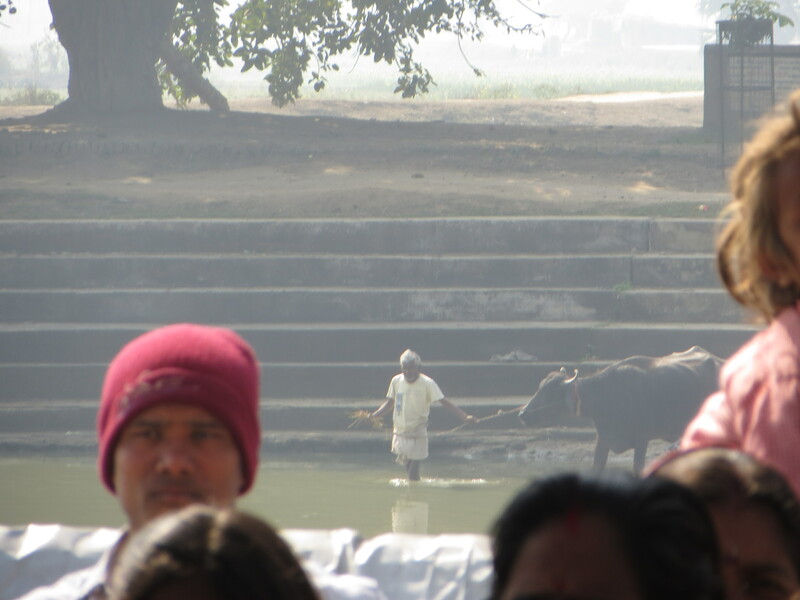 In the distance, a man walked his water buffalo into the lake for a bath. 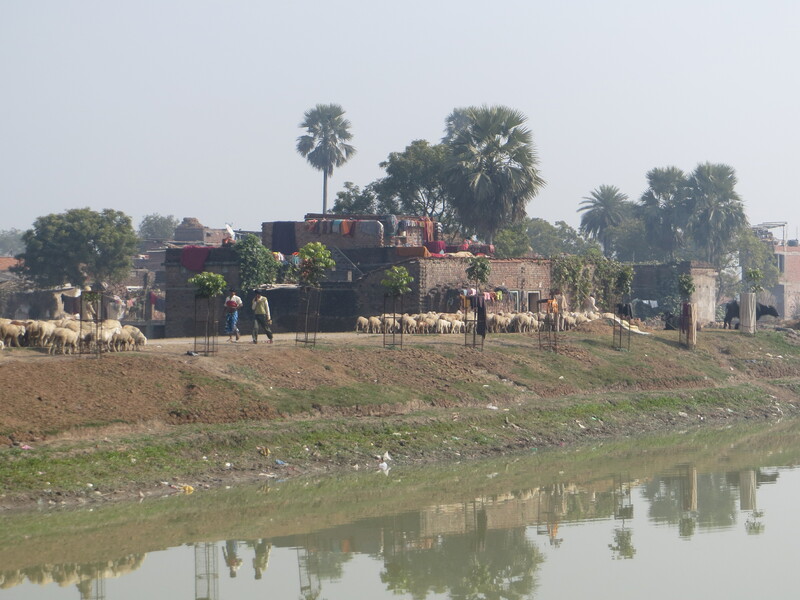 As we sat in the pavilion we saw men herding sheep on the other side of the manmade lake. 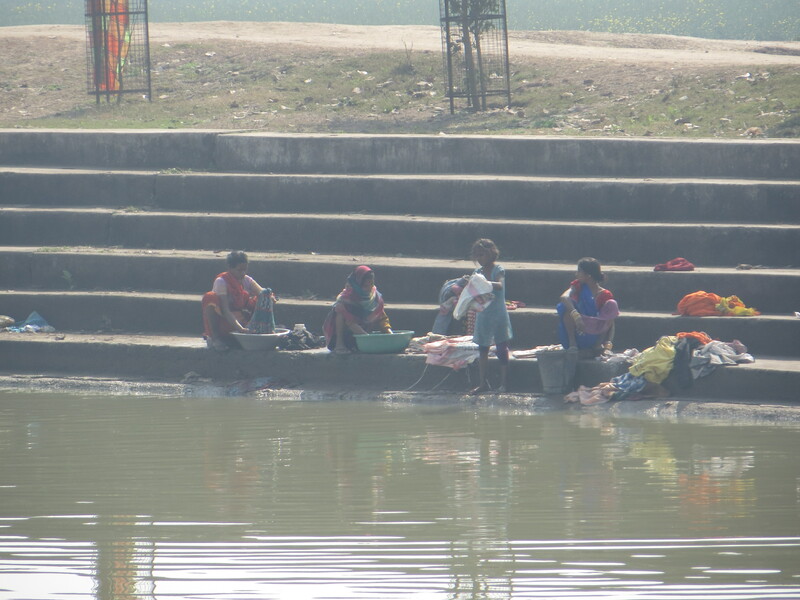 Women washing at the manmade lake. After the meeting, the women walked home. Everywhere in India boys find time to play cricket. 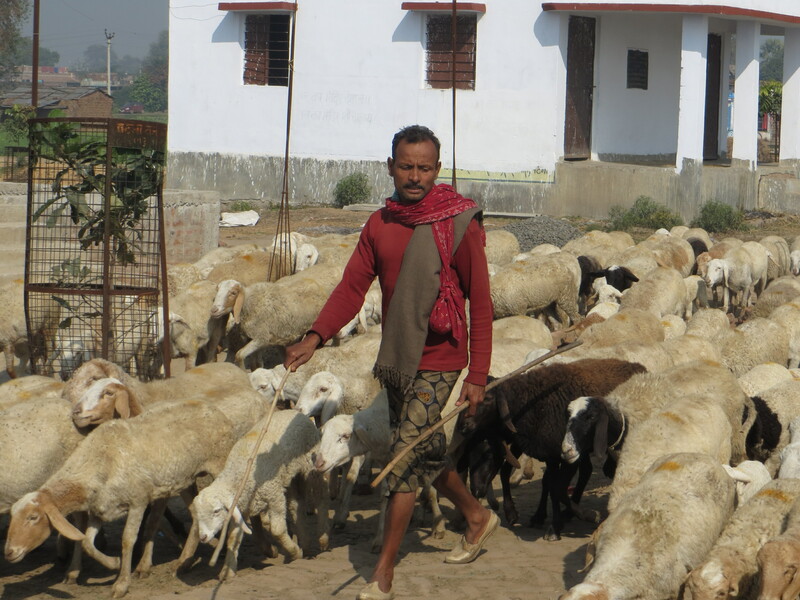 The narrow road–not much wider than a footpath, passed by houses, huts, livestock and people. 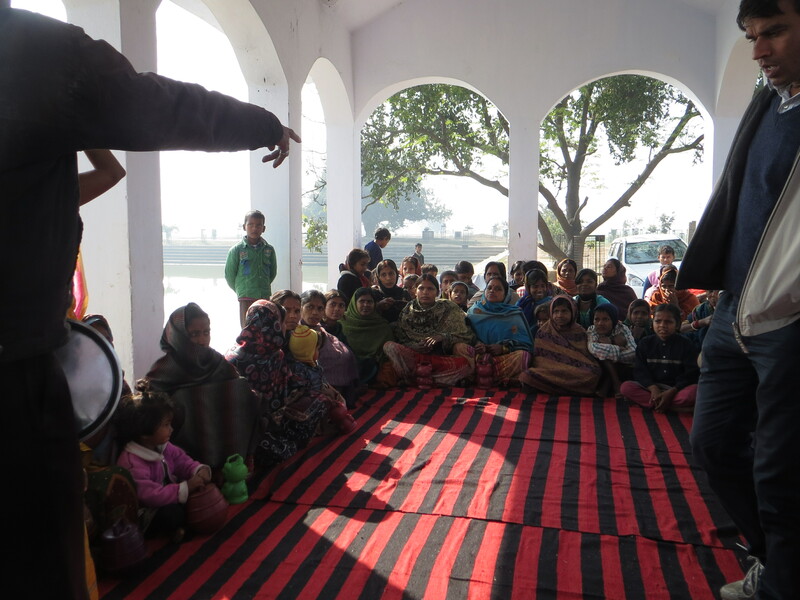 At the end of our session one woman stood up to tell us that they have no latrines, they have no access to clean water. 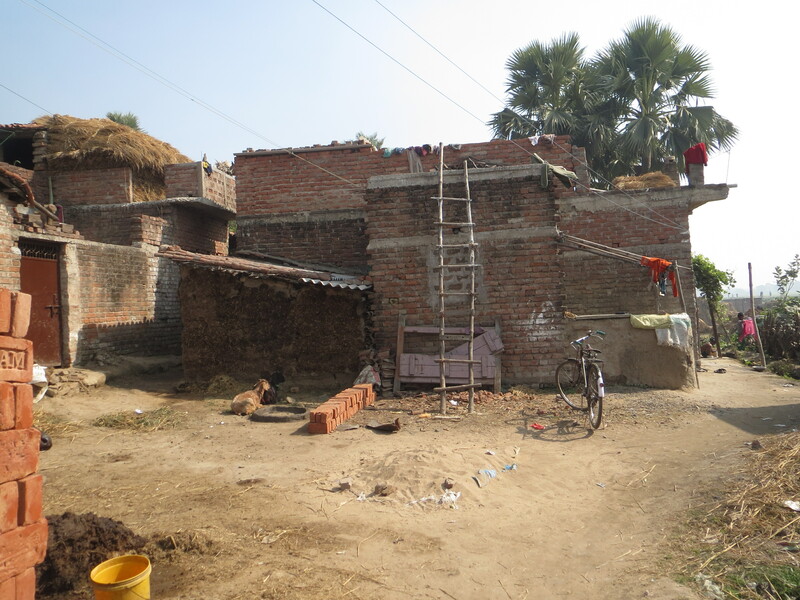 We wondered what would it cost for just this one village to upgrade this tiny bit…and India has 638,000 villages. Yes, many of these women have mobile phones, but it’s a lot cheaper to get a phone than to get clean water. 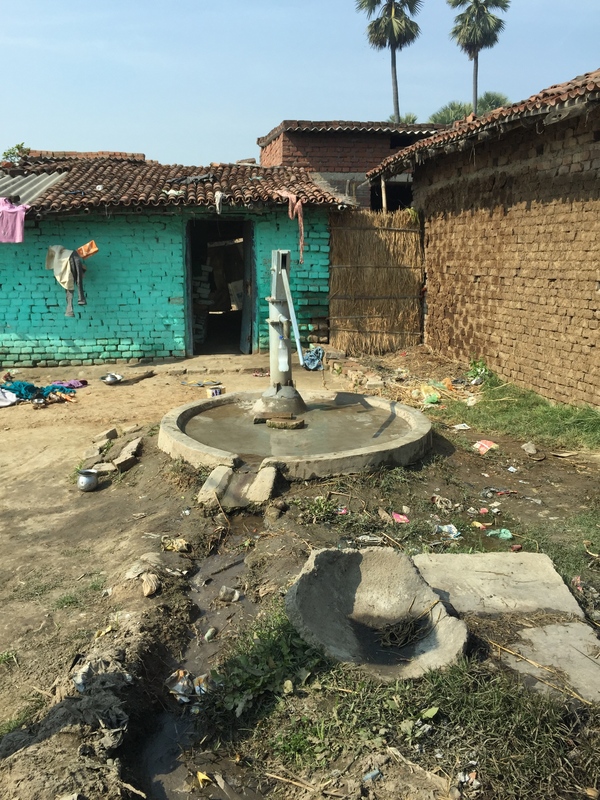 A village well. If you look closely you see a bottle of soapy water tied to the well to make it convenient to wash hands. This innovation was brought to the village by Dr. Arthur Goshin, a Freedom from Hunger trustee, through his personal foundation.